· Liner Data structure – Data are structure in sequential format one data connected to another. Like array, stack, queues, Linked list. Data structure is all about creating abstract data type. Combination of data structure and their operation are known as Abstract Data Type. Store the given number of element into any type of element. Read element by position or modify element by position is called as ADT. Like: Arrays, Linked List, Stack, Queue, Tree, Graph etc. Store the given number at given datatype, write & read element in position. · It holds more than one element. Finite number of collections. · Doesn’t follow any algorithm. Number of arr[n] is called size of array. The process of one multiplication and one addition. This two operation take the constant time and we can say that array access can performed in constant time. Empty List has 0 size, insert, Remove, count, Read & modify element at the position. When array is full create, create a new larger array, free the memory for the previous array. But it is very costly operation to insert the new element in the given position and shift the values. It is liner data structure , its collection of element. Element is called as Node, each element has value(data) and reference of Next node. Microsoft Provide strongly typed linked list LinkedList(T) in System.Collections.Generic namespace. Singly Linked List: It contains the value and reference of next node. Last node next reference will be null. Benefits: It is dynamic data structure, where length of array is predefined. Doubly Linked List: It contains data and 2 references. One of the next reference and another for the previous reference. Benefits: Doubly linked list offers easy implementation of many operations, whereas singly linked list requires more info for the same operation. e.g. Deletion of singly linked list, we need a pointer to it for previous node. It traverses in both forward and backward direction. Circular Linked List : Here last nodes reference will be head or first element. Stack is liner data structure, it is ADT which is used in most of the programming language. It is follow the rule of FILO ( First In Last Out) or LIFO (Last in first out). 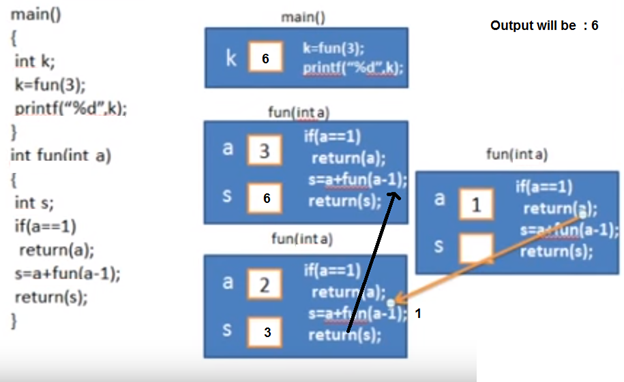 Mainly two basic operation perform in stack. Push : Add new items into stack. If the stack is full than it is said to be overflow condition. POP : Remove the items from the stack. Peek() : Get the top data element of the stack. IsFull() : Check if the stack is full. IsEmpty() : Check if the stack is empty. Queue is liner data type like Stack; treat as an abstract datatype in Data structure. Unlike array it is open ended from both side. One end is always use to insert data is called enqueue. Another is used to remove the data is called as Dequeue. It follow the process of FIFO(First in first out). The data which store first will be accessed first. Enqueue() : Add (store) an item into queue. Dequeue() : Remove the items from the queue. Peek() : Get the element at the front of the Queue. Isfull() : Checks if the queue is full. IsEmpty() : Check if the queue is empty. Tree is non liner data type; it’s a ADT in data structure. You can see the data in the tree as like Multiple nodes, where each node has some associated data and set of children. Nodes are in two parts, parent and children. Node just beneath of the other node are called as children node. Node just above the node is called as parent node. There is Root in all the tree, for root node don’t have any parent. e.g. Organization structure of any company is in tree format. 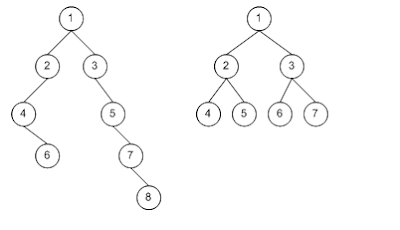 There is special kind of tree where each parent node is having only two children which is called as Binary Tree. Nodes which don’t have any children which is called as Leaf node. Nodes which have one or Two children are referred as internal nodes. Calculate the good algorithm by Rate of Growth; the rate at which the running time increases as a function of input is called rate of growth. Rate of growth of input machine. Before calculating the time you need a model computer. Let’s take an example and consider 1 unit time for arithmetical and logical and 1 unit for assignment and return. 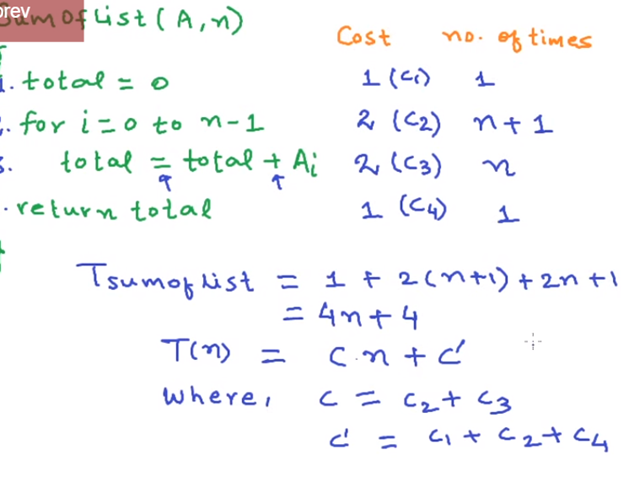 Return a+b; à 1 unit for sum and 1 Unit for return so total time for it is 2 Unit. Lets see the calculation for simple, liner and complex application. To analysis the algorithm we need to know on what input algorithm is taking less time and what will take more time. Take an example of 10 number which you need to arrange in order, if the number is already in order than it is best case. Suppose it distorted like any thing than it can be the worst case and Average case is middle of it. For all three case we need to identify the Upper and Lower bounds. 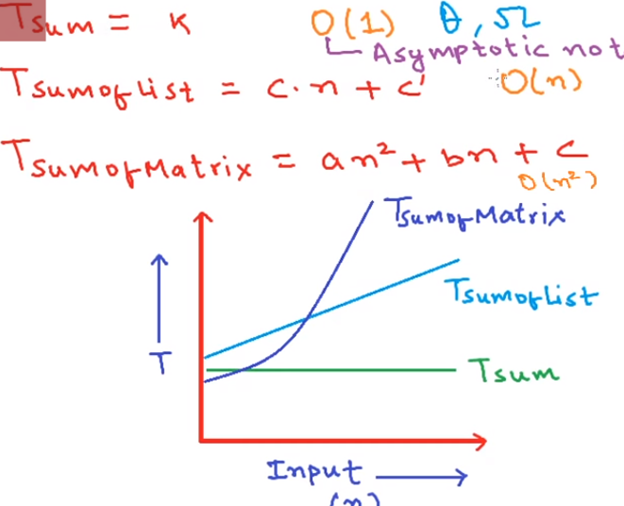 Omega notation – finding the lower bound. 1. The function which will call itself is called as recursion. 2. Recursive code is generally shorter and easier to write than iterative problem. 3. It terminate when base case has reached. 5. You need to have some point where you need to close the recursion. 6.1. List of application for recursion. Sum the last two numbers. Multiplication of values till number pass. Finding the greatest common divisible between the numbers. In data structure we come across many ways to search the particular data in an array or list. Liner search or sequential search are technique on which every item will check sequentially and match with the given item. If find the particular match than it will return that item. Let’s see the algorithm for it. Step 5 : Print : value found in ith position. The complexity of liner search algorithm in O(n).